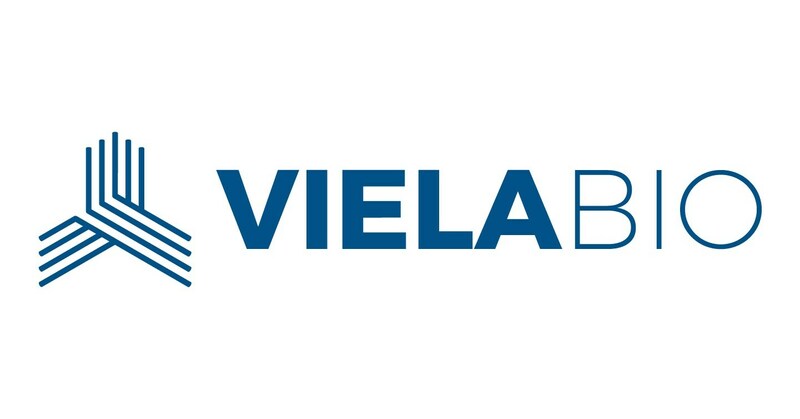 Gaithersburg, MD—April 18, 2019 – Viela Bio today announced that the U.S. Food and Drug Administration (FDA) has granted Breakthrough Therapy Designation (BTD) for the Company’s anti-CD19 monoclonal antibody inebilizumab, an investigational monotherapy for neuromyelitis optica spectrum disorder (NMOSD). NMOSD is a rare, life-threatening autoimmune disease affecting the central nervous system. Breakthrough Therapy Designation is designed to expedite the development and regulatory review of medicines intended to treat a serious condition that have shown encouraging early clinical results which may demonstrate substantial improvement on a clinically significant endpoint over available medicines. The designation for inebilizumab is based on data from the pivotal N-MOmentum study evaluating inebilizumab as monotherapy. ROCKVILLE, Md., April 17, 2019 /PRNewswire/ — REGENXBIO Inc. (Nasdaq: RGNX), a leading clinical-stage biotechnology company seeking to improve lives through the curative potential of gene therapy based on its proprietary NAV®Technology Platform, today announced the appointment of Steve Pakola, M.D., as its Senior Vice President and Chief Medical Officer. Dr. Pakola will report to Kenneth T. Mills, REGENXBIO’s President and Chief Executive Officer. Dr. Pakola joins REGENXBIO from Aerpio Pharmaceuticals, Inc., where he was Chief Medical Officer. He has held key leadership roles in preclinical and clinical development, regulatory affairs and medical affairs. While Dr. Pakola’s therapeutic area experience encompasses multiple indications, his predominant focus has been the development of treatments for retinal disorders, including clinical development experience in diabetic retinopathy, diabetic macular edema and age-related macular degeneration (AMD). He was the lead inventor and program lead for the Jetrea®(ocriplasmin) program, from inception in 2002 through the therapy’s United States and European regulatory submissions in 2012. Click here to read more of the press release. Emma Walmsley, the CEO of GlaxoSmithKline, discussed the pharmaceutical industry and the role of leadership at the Stanford Medicine Dean’s Lecture on Tuesday. GlaxoSmithKline, commonly known as GSK, is a British-based multinational pharmaceutical company — one of the world’s largest. Walmsley became CEO of GlaxoSmithKline in 2017, marking her as the first woman to run a major pharmaceutical company. Since taking the helm, Walmsley has instituted significant change in GlaxoSmithKline’s approach to research and development. These include a greater focus on the immune system, further investments into advanced technologies and increased utilization of genetic information and techniques. “There has never been a more exciting time in terms of the advances in biology and technology, and how the two of them coming together could be absolutely thrilling and impactful to patients around the world,” Walmsley said. Throughout the talk, Walmsley highlighted GSK’s new business strategies, acquisitions and trajectory, as well as the state of the pharmaceutical industry. Her educational background in Classics and her professional background in consumer products, she explained, is often untraditional in the scientific sector, yet it offers her a unique perspective as chief executive. Walmsley also discussed the complexities involved in her role as head of a large pharmaceutical company. Throughout her tenure as CEO, she has often had to weigh tough business decisions, putting aside her personal biases and fears in favor of what is directly beneficial for the company. Read more via the Staford Daily. 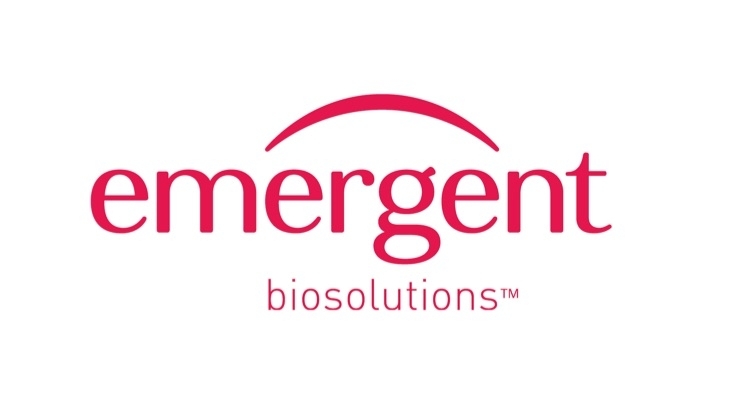 GAITHERSBURG, Md., April 16, 2019 (GLOBE NEWSWIRE) — Emergent BioSolutions Inc. (NYSE:EBS) today announced results from the interim analysis of its Phase 2 clinical study evaluating the safety and immunogenicity of the company’s chikungunya virus virus-like particle (CHIKV-VLP) vaccine candidate across a series of dosing regimens. The interim analysis has shown that with a single dose administered, up to 98% of study participants produced a neutralizing antibody response against the chikungunya virus (CHIKV) by Day 7. Further, the immune response was shown to be persistent through the six-month visit, including in the one-dose regimen. SOMERSET, N.J. and BALTIMORE, M.D. – April 15, 2019 – Catalent, Inc. (NYSE: CTLT), the leading global diversified provider of advanced delivery technologies and development solutions for drugs, biologics and consumer health products, and Paragon Bioservices, Inc., a leading viral vector development and manufacturing partner for gene therapies, today announced they have entered into a definitive agreement under which Catalent will acquire Paragon for $1.2 billion. Carrie Roth is president and CEO of the Virginia Bio+Tech Park and of Activation Capital. The park’s board is seeking a new president and CEO and Roth would stay as its chief operating officer. Click here to read the subscription required content via the Richmond Times-Dispatch. ROCKVILLE, MARYLAND, April 9, 2018 – Floreo Inc., an early stage startup founded in 2016 which is leveraging the power of virtual reality to deliver immersive, fun, and affordable lessons for children and adults with autism spectrum disorder (ASD), was chosen from five finalists as the firm with the most commercial potential at the 4th Annual Crab Trap Competition. 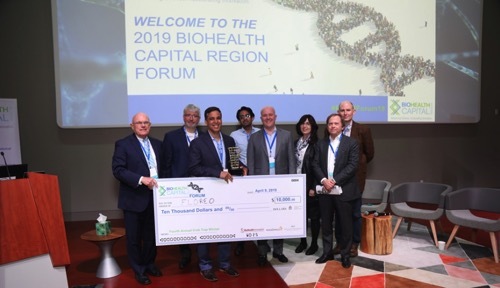 This year’s judges included industry leaders John Rubin of JP Morgan Private Bank, Charles J. Andres of Wilson Sonsino Goodrich & Rosati’s, Raghav Bhargava of New Enterprise Associates (NEA), Ethel Rubin of NIH/BHI, John Trainer of AstraZeneca, and Norm Marcus, MD. Of Sanderling Ventures. WASHINGTON, April 9, 2019 /PRNewswire/ — Johnson & Johnson Innovation LLC and Children’s National Health System (Children’s National) today announced a collaboration to launch JLABS @ Washington, DC, a 32,000-square foot facility to be located at the new Children’s National Research and Innovation Campus in Washington, DC. This Children’s National expansion is set on a nearly 12-acre portion of the former Walter Reed Army Medical Center campus in the nation’s capital. The co-location of the Research and Innovation Campus with key partners in the areas of public health research, innovation and incubator space is critical to accelerating the translation of potential breakthrough discoveries into new treatments and technologies. The JLABS @ Washington, DC site will be open to pharmaceutical, medical device, consumer and health technology companies that are aiming to advance the development of new drugs, medical devices, precision diagnostics and health technologies, including applications in pediatrics. This collaboration marks the second time Johnson & Johnson and Children’s National have teamed up to emphasize the importance of investing in the health and well-being of babies and children around the world. Through either sponsorship or membership, both entities founded Safe Kids Worldwide, a nonprofit organization aiming to help families and communities keep kids safe from injuries. “The vision we pursued for this campus required a global innovation partner with a strong commitment to pediatric health and a clear understanding of the next big areas of opportunity for improving human health. We believe the JLABS model is exactly what is needed to help us drive discoveries that are then rapidly translated into new treatments and technologies,” said Kurt Newman, M.D., President and Chief Executive Officer, Children’s National. Gaithersburg, Maryland – April 8, 2019: MaxCyte, the global clinical-stage cell-based medicines and life sciences company, announced today the launch of the new ExPERT™ technology platform. This family of instruments – the ATx, STx and GTx – represents the next generation of the industry’s leading, clinically validated Flow Electroporation® technology for complex cellular engineering. With these additions to the product portfolio, MaxCyte continues its uncompromising focus on high performance cellular editing, while delivering feature enhancements that will enable customers to use a single unifying technology, from concept to commercialization. The ExPERT ATx, STx and GTx build on the solid technology foundation that has been the core of MaxCyte’s historical instrument platforms, which are broadly used by leading companies across the biopharmaceutical industry who are developing increasingly sophisticated biological and cellular-based therapeutics. Click here for the entire press release. ROCKVILLE, Md.–(BUSINESS WIRE)–Apr 2, 2019–Immunomic Therapeutics, Inc. will present late-breaking preclinical data which shows that its’ investigational nucleic acid platform, UNITE, may enhance antitumor immunity when used in connection with its investigational DNA vaccine, ITI-7000. In preclinical studies, ITI-7000, an investigational DNA vaccine targeting ErbB2/HER2, demonstrated robust activation of known anti-tumor CD4 and CD8 cells in vivo and promoted tumor infiltration with activated CD8 T cells. These data will be presented at the American Association for Cancer Research (AACR) 2019 meeting in Atlanta, Georgia. In addition to observing activation of known anti-tumor CD4 and CD8 cells in vivo, Immunomic scientists observed the overexpression of PDL1 in the tumor microenvironment. This pathway has shown clinical relevance as a cancer immunotherapy target of the tumor microenvironment. PDL1 overexpression upregulated by ITI-7000 suggests that a combination of ITI-7000 with an anti-PD1/PDL1 therapy may increase the therapeutic potential of either agent on its own. This data also supports the prevailing belief in the immunotherapy community that cancer vaccination could synergize with anti PD1 and PDL1 and other immunotherapies, as well as support the viability of the UNITE platform as a means to do so. In summary, these findings support the potential of ITI-7000 as a cancer vaccine and highlight that UNITE, Immunomic’s nucleic acid platform, may have the potential to enhance immunity of investigational cancer therapies.